It's not a secret, between the land grab and the Tom Herman hire, that those within U of H circles are livid with UT. 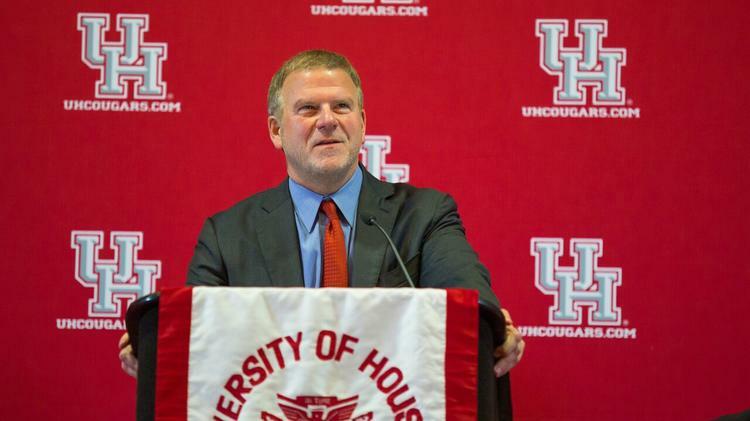 We were still struck by a rather...bold...comment from U of H Board Chairman Tilman Fertitta following the Herman hire. That got us thinking: If Tilman Fertitta starts making phone calls around the legislature next session, who's likely to listen?!? We reviewed Texas "Ethics" Commission data for the past two election cycles. Fertitta appears to be a pretty typical big money donor in that he donates to everyone regardless of ideology. For the most part, he donates within Harris County, although there are some interesting ones outside of the area as well. Results are mostly presented in the order in which they appear on the "Ethics" commission website. The primary exception is that we moved statewide officials to the top of the list. Former members of the legislature who will not return next session have been excluded. Author's Note: To his credit, Fertitta gave to Patrick during the 2014 primary but does not appear to have given to David Dewhurst. Note: Again, to his credit, he gave to Paxton during the 2014 runoff but does not appear to have given to Dan Branch. Author's Note: Yes, that Carol Alvarado. Author's Note: House Higher ed committee chairman last session.